Leep 27 is a five piece Pop Rock band, based in Minneapolis, Minnesota. The band's Pop Rock N Roll trademark sound is full of harmonic vocals, loud guitars, and thundering drums. It was almost fourteen years ago when Todd Epley and Jared Lee met at Mankato State University. They had an instantaneous chemistry that ignited their passion for singing and songwriting, and still continue to fuel that fire. The curious spelling of the group's name and the symbolism behind the use of the number 27 is partly a nod to past greats, such as Jim Morrison, Jimi Hendrix, Janis Joplin, Brian Jones, Kurt Cobain, and others who became inspirational legends as they all ironically died at 27. And yes, it is LEEP 27, not leap 27. Since the band's inception in early 1995, Leep Twenty Seven has evolved into the finely tuned line-up that it is today, consisting of Todd Epley (vocals/guitar), Jared Lee (vocals/guitar), Rick Blomquist (lead guitar/vocals, Steve Moerke (bass/vocals), and Chad Satre (drums) and has captured the hearts and praise of many Concert goers at Minnesota Vikings, Twins, Timberwolves and Wild Games, Festivals, Colleges, Universities, Corporate Events, Block Parties, Nightclubs, Bars and even an occasional wedding. Leep 27 has played every major Venue and festival in the Twin Cities and the Midwest including; First Avenue & 7TH St Entry, The Fine Line Music Café, Bunkers, The Cabooze, Summerfest in Milwaukee, as well as local festivals like Grand Old Days, Ribfest, Cedarfest, Rochesterfest, Giant Days, and Spam Jam, and still continues to satisfy fans everywhere they go. The band has a very broad fan base due to its members coming from Rochester, Austin Duluth, Le Sueur and Mankato. Leep 27 has built on that fan base and is currently playing its hometown festivals in appreciation of the thousands of fans that have supported the group over the years. Leep 27's first self-titled album has sold 12,000 copies so far and helped them share the stage with acts like: Train, Sister Hazel, America, Pat Benetar, Styx, Cheap Trick, Yellowcard, P.O.D., Michelle Branch, Edwin McCain, Unified Theory (featuring former members of Blind Melon and Pearl Jam), Why Store, Oakley-Kreiger Band, and local favorites Big Wu, GB Leighton, Tim Mahoney, Honey Dogs, Iffy, and Boogie Wonderland. In 2002 the group released its second album Silver and has sold 15,000 to date. Both the self-titled album Leep 27 and Silver were picked up by CBS's The Young and the Restless, MTV's The Real World, Road Rules, and Cameron Diaz's Trippin, and can be heard on Cities 97.1, KQRS 92.5, KARE 11, and UPN 9. If you want to see the guys and there seems to be no dates on the calendar, you can always check out TRICK, you never know just who you will see! Leep Twenty-Seven will undoubtedly have a chance to shine throughout 2002. Not only will the Spring release of their newly polished album Silver bring them promise, but both lead vocalists Todd Epley and Jared Lee celebrate the bands symbolic number by turning 27 this year. 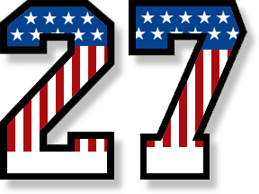 The symbolism behind the use of the number 27 is partly a nod to past greats, such as Jim Morrison, Jimi Hendrix, Janis Joplin, Brian Jones, and Kurt Cobain, who became inspirational legends as they all ironically died at 27. It was almost seven years ago when Todd and Jared met at Mankato State University .They had an instantaneous chemistry that ignited their passion for singing and song writing. Their similar passion perpetuated them to pursue their musical dreams, which began with the search for three additional band members. After playing some successful acoustic shows around campus, bassist Steve Moerke joined the duo. Chad Satre, drummer, had already played in a couple popular local bands with Steve, and so it only made sense that the solidarity of Leep 27 would be backed by this experienced rhythm section. The true fifth member of Leep 27 would not be finalized until the fall of 1998. The band was in search of an accomplished lead guitar player, and Steve knew just who to contact. Steve had attended The University of Minnesota-Duluth during his freshman year, and the highlight of that year was meeting Rick Bloomquist. Rick, who wasalready a skilled guitar player when Steve first met him, struck everyone else with disbelief at what they considered to be a mostly natural and self-taught talent. With the entire cast of musicians in place, they had evolved their sound by adding a cutting edge to the original solid groove that Leep 27 fans had already become accustomed to. Why will 2002 be Leep27's year to shine? The answers can be found in all of their six years of hard work and honors. They started out 2001 making arrangements to record their second album at Pachyderm Studio in Cannon Falls, MN where ground-breaking albums from the bands Nirvana, Soul Asylum, Live, Wilco, and the Jayhawks were recorded. Leep 27's producer/engineer Alex Oana, the 2001 Minnesota Music Award winner for Best Producer, joined the band at Pachyderm for heavy brainstorming sessions. With additional engineering by Brent Sigmeth, they turned those into radiant recording sessions that would sometimes last all night. Alex then continued on, with the then unnamed project Silver, back to Minneapolis to City Cabin, his home Protools studio, to record the vocals to a perfectionist's taste. When it was all said and done, they had returned to Pachyderm not because of the success it had brought to their first release recorded there, but because of the ghostly feel for unspoiled music in a studio whose muse naturally becomes the moment. With some return trips to Pachyderm and a few days spent at Echo Bay Studio, Silver was mixed by Alex at MasterMix Studio, Tom Tucker Sr. and Jr.'s studio. Finally the mastering took place at Rare Form Mastering by Greg Rierson. With the release date of March 30, 2002 the band barely had time to reflect on their course before the project would speak for them. With all the trips to studios, there wasn't as much road time as the band was used to, yet keeping close to home gave them the time to feel their Minneapolis music scene presence. 2001 had definitely created a whirlwind of encouraging devices. While recording Silver in 2001, the band also recorded a live show at O'Gara's Garage in St. Paul with a prospective release date in Fall 2002. The purpose for the recording was to put a new spin on some original Leep 27 crowd favorites, and to include some additional talent on stage. The musical guests were: Steve Clark on horns, a 2001 MMA Horn Player of the Year nominee, Kevin Murphy on organ, the founding member of Rufus feat. Chaka Khan, and Billy Hawn a favorite Minneapolis professional auxiliary percussionist. Along with the live recording came the filming of a HBO pilot for a documentary outlining the “ins and outs” of being in a working band. With the filming of the pilot pointing the band toward television, CBS's The Young and the Restless happened upon Leep 27's debut record with pleasing results. The Soap has since aired the song “Choices” numerous times as well as other samples from the album, since it's discovery. Leep 27 has the versatility to be a favorite act among college towns and has played in many of the largest from the Dakotas to Kentucky. Airplay is something Leep 27 would encourage to happen on a national level and it has already happened locally at Cities 97.1, KQRS 92.5, KARE 11, and UPN 9. Their mailing list has grown each time their music and presence has shown itself with a list of almost 2,000 fans. Leep 27's first album has sold 12,000 copies so far and helped them share the stage with acts like: Train, Sister Hazel, Unified Theory ( featuring former members of Blind Melon and Pearl Jam), Why Store, Oakley-Kreiger Band, and local favorite Big Wu. The band has also played one of the largest outdoor festivals(daily population of 125,000), Summerfest in Milwaukee, for 3 years, as well as local festivals like Grand Old Day and Cedarfest. 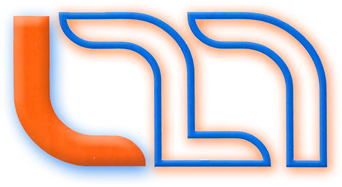 It is no surprise that Leep 27 was suited for their 2001 Minnesota Music Award nomination for Best Pop Band. How will Leep 27 shine in 2002? By continuing what has driven them to this point and setting new tones for discovery and growth. Copyright © 2009-2019 Leep 27. All Rights Reserved.